For over four decades, Steven Spielberg has been one of Hollywood’s most iconic directors, and one of the reasons he’s had such staying power is his willingness to direct stories across many genres, from sci-fi adventures like ET the Extra Terrestrial to biopics like Bridge of Spies. However, one genre he hasn’t touched yet is the superhero movie. While there are currently no plans for him to direct such an adventure, he has watched quite a few of them, and the one that has impressed him the most so far is Guardians of the Galaxy. 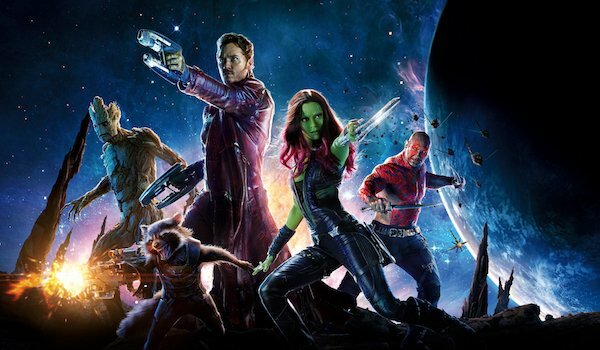 I really like Richard Donner's Superman, Nolan's Dark Knight and the first Iron Man movie, but the superhero movie that most impressed me is one that does not take itself too seriously: Guardians of the Galaxy. When it ended, I left the cinema with the feeling that I had just experienced something new, free of cynicism and without concern for being gritty when necessary. Steven Spielberg’s stamp of approval is the latest praise Guardians of the Galaxy has learned upon opening to critical acclaim in August 2014. When the movie was announced in 2012, many people (including some comic book fans) turned their heads in puzzlement. Granted, heroes like Iron Man and Captain America weren’t really A-listers before getting their movies, but at least their names were recognizable. The Guardians of the Galaxy (based off the team introduced in 2008 rather than the original iteration), on the other hand, were plucked from obscurity. Thanks to director James Gunn, stars like Chris Pratt and various other ingredients, the movie turned out to be a hilarious, thrilling story that felt different than any superhero movie before it. It did have its dark moments, but like Spielberg said, it wasn’t focused on being gritty or cynical. What it did offer was plenty of heart. Fortunately for Spielberg and other Marvel fans, the Guardians are returning to the big screen next year for Guardians of the Galaxy Vol. 2. The sequel will not the return of not just the original five members, but Michael Rooker’s Yondu, Karen Gillan’s Nebula, Sean Gunn’s Kraglin and Glenn Close as Nova Prime. Newcomers include Pom Klementieff as Mantis, Tommy Flanagan as a member of the Ravagers and Kurt Russell reportedly as Star-Lord’s father, along with unconfirmed/undisclosed roles for Elizabeth Debicki, Chris Sullivan, Steve Agee and Sylvester Stallone. Guardians of the Galaxy Vol. 2 will be released on May 5, 2017, and Steven Spielberg’s upcoming directorial projects include The BFG, Ready Player One and Indiana Jones 5.